Thank you for your interest in HXR Drilling Services. Stay tuned for more case studies and other digital mailings that we will be sending out periodically. We hope this information proves to be interesting and adds value to your current and upcoming projects. 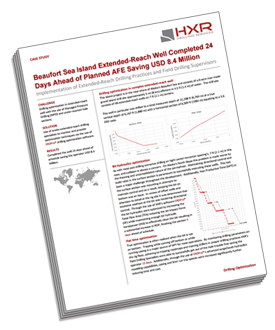 Click here to access the case study on the Beaufort Sea Island Extended-Reach Well Completed 24 Days Ahead of Planned AFE Saving USD 8.4 Million. Check out these other great resources.